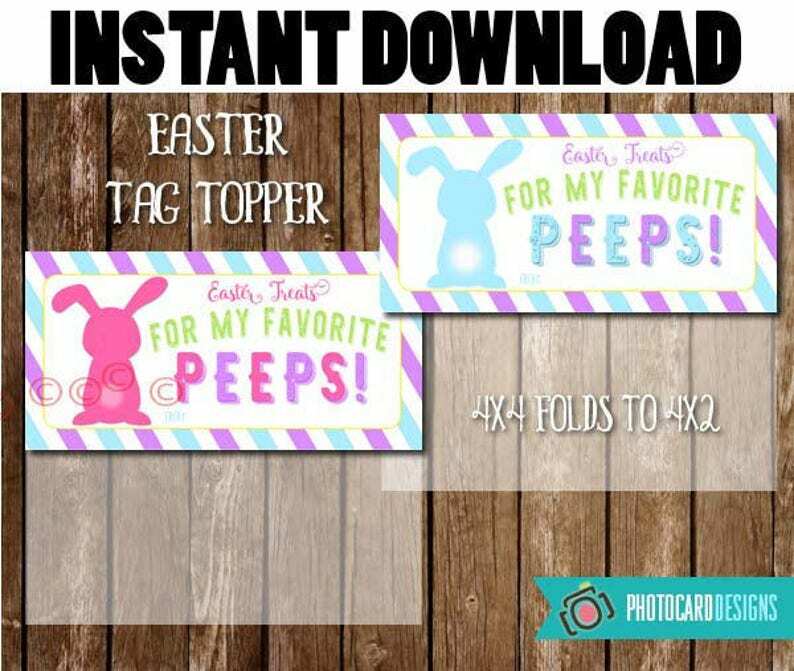 PEEPS EASTER School Treat Candy bag Printable Digital DIY PDF INSTANT DOWNLOAD can make favor tags, classroom tags and much more! Treat Favor Bag Printable is 8.5x11. 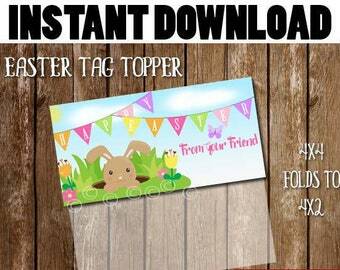 DOWNLOAD, PRINT, CUT, WRITE NAME, FOLD, STAPLE TO BAG!! * 1 PDF file with 4, 4x4 inch squares with 2 designs. 4x2 after folding tag.